One hour interactive study of The Cycle Diet: Longevity starts with Weight Loss. The Cycle Diet Weight Loss and Longevity Handbook included. Doctor of Medicine. University of Texas Medical Branch. Galveston. Texas. Doctor of Biochemical Sciences. University of Houston. Houston. Texas. Chemistry. Brigham Young University. Provo. Utah. US Army Fellowship Grant DAAL03-86-6-0031. NASA Fellowship Grant NSG-7440. 1994. Haselman et al. Fidelity of Seconday and Tertiary Interactions in tRNA. Nucleic Acid Research. 16:5673-5684. Haselman et al. Additional Watson-Crick Interactions Suggest a Structural Core in Large Subunit Ribosomal RNA. Journal of Biomolecular Structure and Dynamics. 7:181-186. Haselman, T. Comparative Sequence Analysis of Structural RNA. Doctor of Biochemical Sciences Dissertation. University of Houston. Copyright. 1-175. Haselman, T. Revised 2008. The Cycle Diet. Copyright. 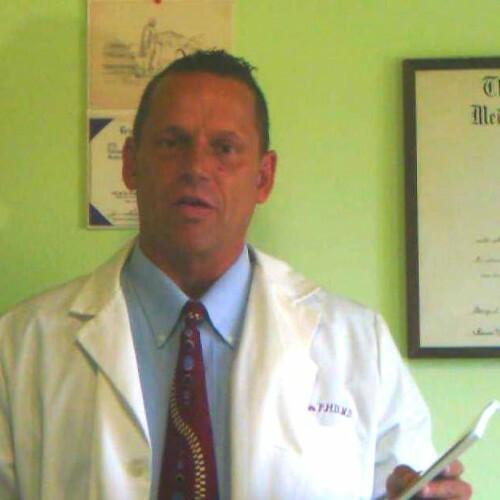 Find out more about Tim Haselman MD PhD at http://yangzhiherbal.com/the-cycle-diet.